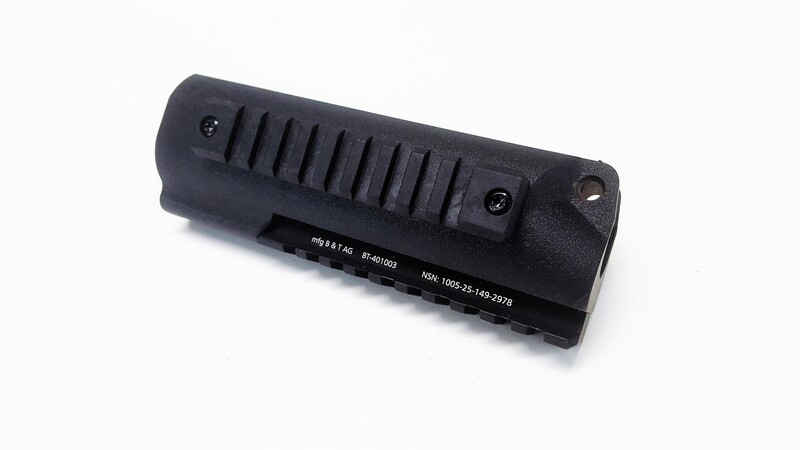 Brugger and Thomet handguard for Heckler and Koch weapon systems. Polymer body with picatinny rails and attaches with a standard small push pin. This is a perfect upgrade to your HK firearm to add a variety of accessories to include lights, grips or rail covers.